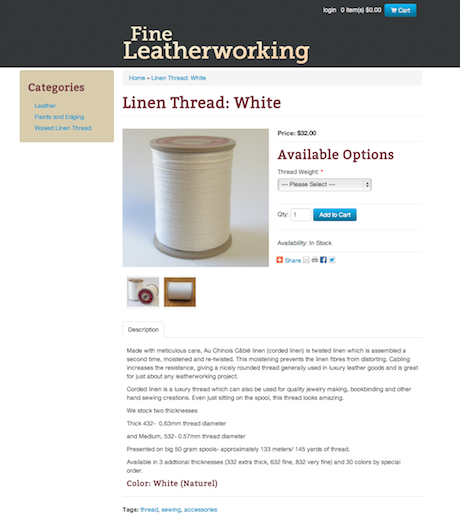 Fine Leatherworking is a site that offers premium quality leathercrafting supplies. Using a custom built theme based on Twitter Bootstrap, the site runs on Opencart and, unlike other themes, strips out all of the unnecessary widgets that often clutter an open source eCommerce platform. 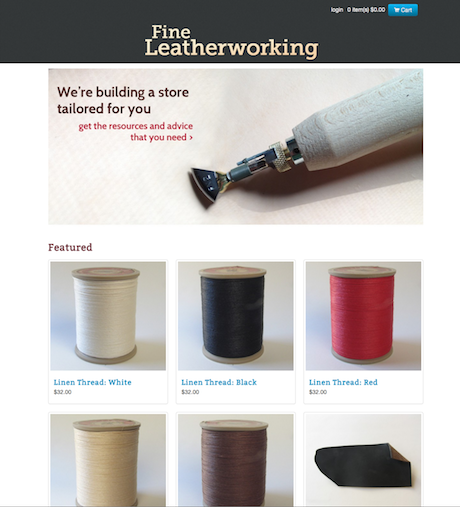 Browsing on forums and other sites, I couldn’t find a good resource for leatherworking that didn’t have a western influence or hobbyist feel so I decided to make my own site. the result is a clean and simple design that appeals more to modern and luxury style leather workers.